The Corn Palace is open year-round and is FREE to visit. Our peak season is from Memorial Day through Labor Day. 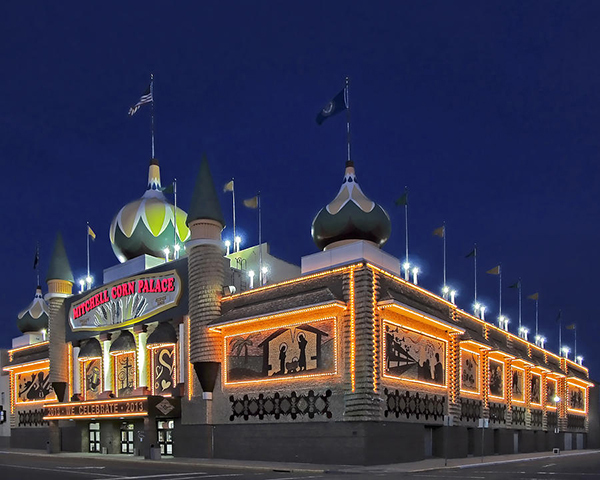 When you come during this time, you truly see the Corn Palace come to life as it is redecorated with new corn, grain and grass to showcase a new theme. However, the Corn Palace is never completely bare, so you will always see a building this truly American Icon! 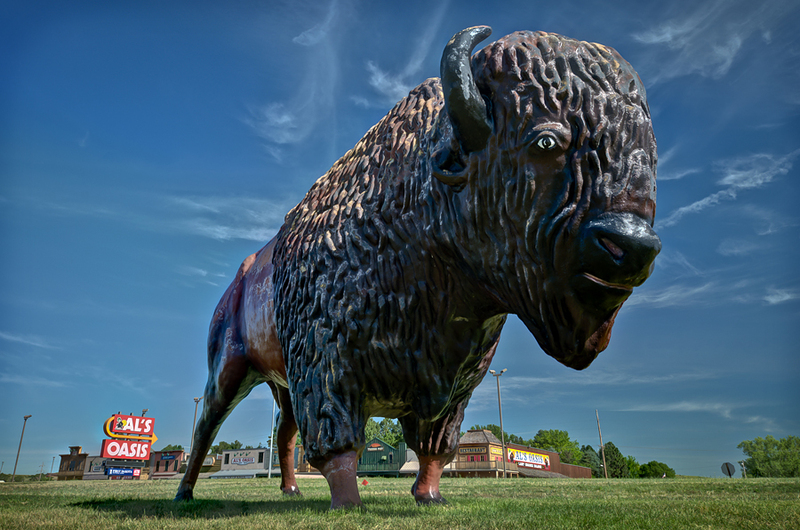 Nestled along the Missouri River in Chamberlain and Oacoma, SD, Al's Oasis has historically been the premier resting stop for travelers along Interstate 90 (I-90). Here at Al's Oasis we offer bus tour groups, vacationing families, tourists, and lone travelers more than just great food, lodging and shopping. We offer them an escape from their travels. We still have our delicious 5¢ coffee, which always comes with a free smile. 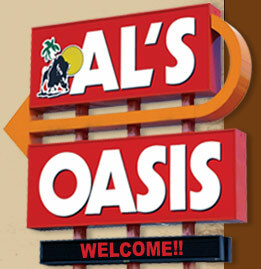 Al's Oasis, still a family run business, prides itself on making a fun, convenient, and relaxing stop for you and your family. Feel free to contact us at 605-234-6051 for questions or information. being able to serve groups quickly and efficiently. We offer restaurant seating for 300 guests. Free Admission to this 76,000 square foot wonderland of free attractions! It was December 1931. Dorothy and I had just bought the only drugstore in a town called Wall on the edge of the South Dakota Badlands. We'd been open a few days, and business had been bad. I stood shivering on the wooden sidewalk. In this little prairie town there were only 326 people, 326 poor people. Most of them were farmers who'd been wiped out either by the Depression or drought. Now there are people bustling all over the streets of Wall. If Ted & Dorothy can make it in the dust bowl days of the Dirty 30s then there is no such place as Godforsaken in this great country we live in...AMERICA. We are still here and gas prices are low. All signs lead to Wall Drug!